Happy first day of winter to you! 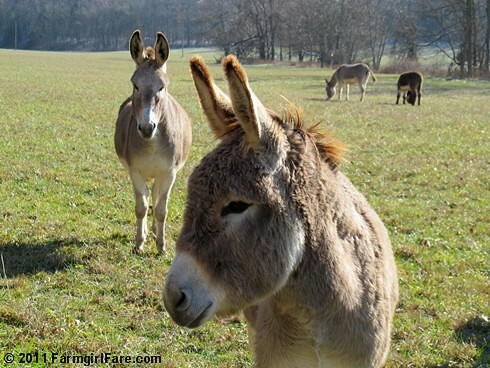 © FarmgirlFare.com, the cold loving foodie farm blog where some of our seven donkeys fluff up more than the others, with 3-year-old Evie (who is Daphne's daughter) being the fluffiest. But this is just the start—Evie should be a whole lot fluffier soon. It's definitely time to be fluffing up for the colder weather to come! I love her coy pose! She's a fashionista with her fluffy/puffy coat!